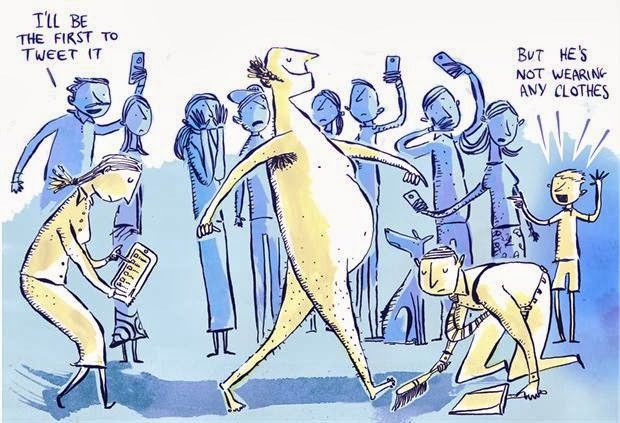 The Emperor’s Clothes Syndrome (also known as Emperor’s New Clothes Syndrome) is probably more like a mentality or the result of social pressure than a true disorder. Still, it has some psychological traits that merits the name syndrome. 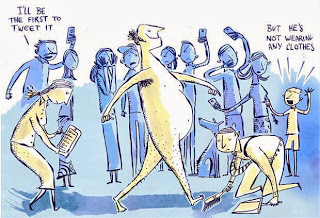 It got its name from Hans Christian Andersen’s tale where no one in town — until the child cries out — is pointing out that the Emperor is naked because no one wants to be called ‘stupid’ or ‘unfit’ for their positions. People who have this syndrome claim that they know something even if they don’t, in order to avoid being judged as stupid or intellectually inferior to others. The Emperor’s Clothes Syndrome has become an idiom about logical fallacies. The story is a vivid example of what happens because of what can be called pluralistic ignorance. The story is about a situation where ‘no one believes, but everyone believes that everyone else believes’. In scientific circles many dogmas persist but students, scientists, physicians and others are in fear of losing their prestige or funding if they would start telling what the scientific evidence truly revealed.